Everyone who uses a vehicle on the road is required to keep it in roadworthy condition. This is done using a test called the MOT TEST. In the interests of road safety this test is used to look at some important features of your car and to make sure that all those important bits meet the legal requirements. For obvious reasons new cars are exempt but once your spanking new car is 3 years old your vehicle will need to be tested like the rest….unless you have a taxi in which case things are a bit different. 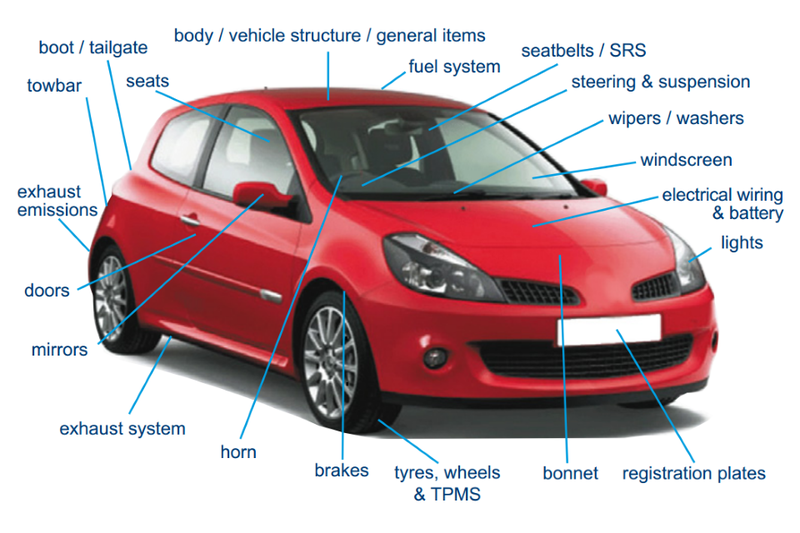 MOT Test – What is checked? The MOT TEST is now computerised. This means you will usually have to make an appointment so the timeslot can be booked in for you.